On August 6, as Ji Xianlin, an outstanding scholar in academic circles, celebrated his 94th birthday, the Ji Xianlin Research Institute, launched by the ChinaConfuciusFoundation, was opened inBeijing, signifying the establishment of a special institution for the research on "The Studies of Ji Xianlin." As a prominent academician, Ji Xianlin is highly praised both at home and abroad for his moral quality, his articles, and his scientific achievements as well as his good personality. The Ji Xianlin Research Institute is based in Shandong University, with some famous scholars, such as Tang Yijie, Le Daiyun, and Liu Mengxi, as senior consultants. Any teacher or research personnel interested in the research on Ji Xianlin can be part-time researchers of the institute. 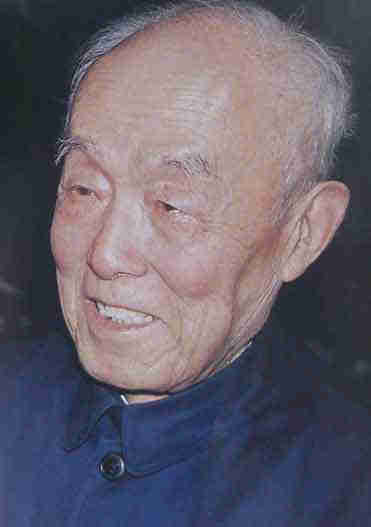 Ji Xianlin, a renowned paleographer (one who studies the writing and documents from the past), historian, and writer, was born in 1911 in Qingping County (today's Linqing City) of East China'sShandong Province. Ji Xianlin studied in Sanhejie Primary School and the No.1 Middle School inJinanCity before entering Shandong University. In 1930, Ji was admitted toTsinghua Universityas a major in Western literature. In 1935, he went to Germany as an exchange student to study ancient languages such as Sanskrit, Pali, Tocharian, and so on, receiving his PhD degree in 1941. Ji returned to China in 1946, and in the autumn of the same year, became a professor inPeking Universityunder the recommendation of Chen Yanluo. Ji founded the Department of Eastern Languages soon after, acting as dean of the department and blazing a trail in the field of Eastern studies in China. In 1956, Ji was elected commissioner of the Chinese Academy of Science's Department of Social Science. Two years after the Culture Revolution (1966-1976), in 1978, he became vice president of Peking University and director of the Chinese Academy of Science's Research Institute on South Asia.